A Night Out With Sam Cooke: 'Harlem Square' Turns 50 Live at the Harlem Square Club, 1963 has been called one of the best live albums ever recorded. But it was shelved for more than 20 years by executives at Cooke's record label, who feared what the mainstream would make of his fiery performance. 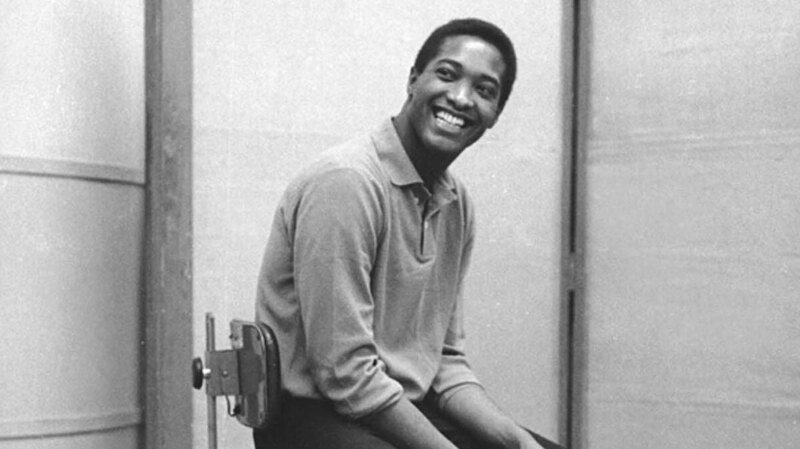 Sam Cooke in the studio in the early 1960s. Fifty years ago Saturday, Sam Cooke stepped onstage at a club in Miami. He'd come a long way to get there. Cooke began singing in a church choir on the South Side of Chicago, and went on to join the Soul Stirrers, one of the country's biggest gospel groups. When he struck out on his own, he hit it big with a mainstream audience, singing popular songs that struck gold. By 1962, his record label decided it was time for a live album. Someone picked out a warm Miami date in early 1963: Jan. 12 at the Harlem Square Club. It was a small downtown nightspot, and that evening it was packed with some of the singer's most devoted fans from his gospel days. The result was loud, raw, artful and raucous — but it wasn't the Sam Cooke the label was looking to sell to mainstream audiences. RCA decided to tuck the Harlem Square Club recording into its archives. Cut to 1985, when a record executive named Gregg Geller discovered those recordings and quickly released Live at the Harlem Square Club, 1963. It's now considered one of the greatest live albums ever recorded, though Geller says he understands what gave his predecessors pause. "Sam was what we've come to call a crossover artist: He crossed over from gospel to pop, which was controversial enough in its day. But once he became a pop artist, he had a certain mainstream image to protect," Geller says. "The fact is, when he was out on the road, he was playing to a predominantly, almost exclusively black audience. And he was doing a different kind of show — a much more down-home, down-to-earth, gut-bucket kind of show than what he would do for his pop audience." Here, Geller speaks with NPR's Scott Simon about the significance of Live at the Harlem Square Club on the occasion of its 50th anniversary. To hear more of their conversation, click the audio link on this page.